The Democrats have made a presidential choice – Hillary Clinton by 69 percent, all others split the remainder (Fox, April 2014). But, the Republican race is wide open, with five candidates: Governors Christie and Bush, Senator Paul, Congressman Ryan and former Governor Huckabee in low double-digits and a crowd closely following. If the group is broken into the main categories of the party, the results look as follows. Of course, most of the candidates and the categories overlap. The Republican race not only doesn’t have a frontrunner, but the main faction, the Tea Party, has only 37 percent of the rank and file Republican vote. No Tea Party identified candidate has more than 10 percent and most of the Tea Party candidates also claim establishment and/or evangelical credentials. Neither the usually dominant establishment (nominating Dole, Bush, McCain, Romney since 1996) nor the party’s potent Tea Party faction have a commanding position. The latest Quinnipiac Colorado poll shows Clinton beats or ties the four candidates tested, except Ron Paul who beats Clinton by five points and leads the field. Paul’s strength comes from being the only Republican who wins voters under 30 years old against Clinton and holds an 11-point lead among independent voters. Does Independent Candidate Complicate the Senate Race? Dr. Steve Shogan, a mostly left leaning Denver-based doctor, has announced an independent candidacy for Mark Udall’s U.S. Senate seat. Does the increase in independent-minded voters provide an opportunity for Dr. Shogan? An interesting test in Colorado. Examining Shogan’s background and issue positions suggest he’s most likely to take votes from Udall. Shogan was a Democrat and generally holds Democratic social views and, although he’s critical of Obamacare, he advocates even more government involvement through a single-payer system. Will he be able to resist Democratic efforts to get him out of the race? Are there undecided, independent and weakly committed voters ready to shift to a new candidate with Shogan’s credentials and positions? This could be a $50 million race. Is he a player at that level? Lightening could strike and Dr. Shogan could be a viable independent candidate. There are and have been several in the U.S. Senate (two there now), but it’s more likely this could end up a “vanity” candidacy, possibly harmful to Udall, but not a contender. It’s a job that will require money. Hoover tells 9NEWS Shogan has 10 fundraising events scheduled following his announcement, but political observers say it will be a very heavy lift. A couple million dollars have already been spent on advertising in the race with heavy involvement from issue advocacy groups. Adding to the challenge, polls show a tight race with few people unsure of who they plan to vote for. “Polls show 90 percent of the public has been committed for the last couple of months, which is amazing,” Ciruli said. Those polls have Udall and Gardner in a statistical tie. When Cory Gardner entered the U.S. Senate race in late February, it managed to elevate Colorado to the status of one of the dozen of races that were considered winnable by Republicans in their quest for six seats and control of the Senate. Two factors have now moved the seat to the top 5 or 6 being watched. First, after two months and six reported polls, the race is dead even, with Udall ahead by a point or two. At least one credible poll (U.S. Chamber) showed him behind. This deadlock status continues after approximately two million dollars in media advertising, mostly negative aimed at both candidates, has been spent. states Mitt Romney won ahead or competitive. A cause of consternation for both the pundits and their models that had begun predicting a Republican pick up of at least six seats since mid-March. As Sens. Hagan (NC), Landrieu (LA) and Pryor (AR) look less vulnerable, Mr. Udall moves up the list from threatened to endangered. Next Sunday, the Roman Catholic Church will sanctify two popes who were special to my generation. If you were raised in a Catholic and Italian tradition in the 1950s, it played like a Coppola or Scorsese movie, sans the guns. Huge weddings, annual butcherings to make sausage and days off from parochial school for Catholic feasts. The first pope that grabbed my attention was John XXIII, who called for modernizing the Roman Church (“I want to throw open the windows of the church”). The Baby Boom was entering high school and John Kennedy, the first Catholic president, was bringing a new look to the White House. John Paul II revived a church that had fallen into some obscurity with his heroic stand against communism just as President Reagan was challenging the concept of détente. John Paul II’s high media profile, frequent travel, but especially his inauguration of World Youth Day, and his huge success in Denver, put the pontificate back into the headlines and into our consciousness. 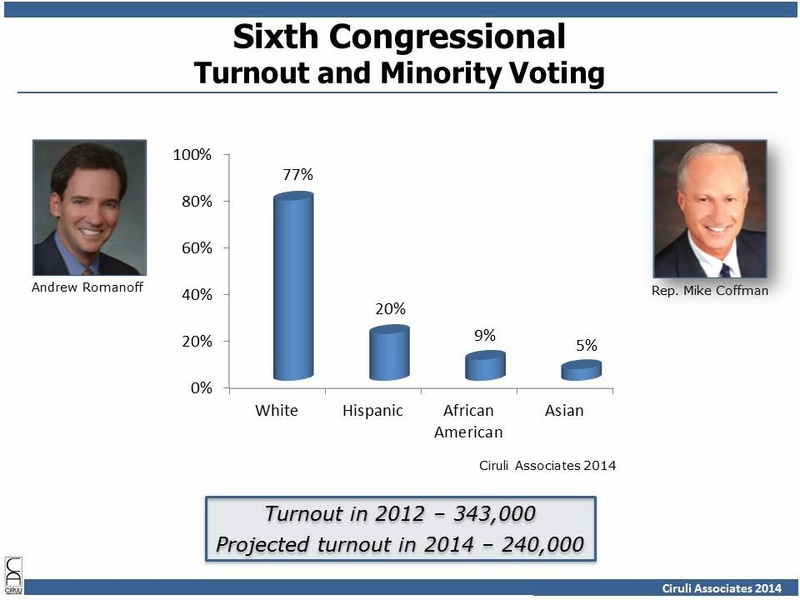 Democrats are working to increase turnout among their core constituents. They have reason to make that a top priority. Voter turnout tends to drop about 30 percent between a midterm and a presidential election. The 2010 Bennet vs. Buck race saw 1.8 million voters, but 2.6 million Coloradans participated in the 2012 presidential election. Republicans can expect about 400,000 rank and file voters to turn out in their gubernatorial primary. for wedge issues that break in their direction and that are especially stimulating to the base. They have been cautious due to the need to make this legislative session less partisan and raucous. Hence, more gun restrictions and gay rights expansions were back burned. But, the “War on Women” is a tried and true strategy, and claiming to fight the imminent threat of new abortion restrictions from pro-life Republicans was seen as useful for incumbents, especially in the Denver suburbs. The fact there are no abortion restrictions on the Colorado political horizon was no bar to trying to pass a vaguely worded resolution attempting to generate some political reaction and media coverage. Initially, it seemed to work when Democrats proposed a pro-abortion resolution to put the legislature on record opposed to restrictions and Republicans and the Catholic Church on the defensive. Although the Democratic leadership got coverage, it’s not clear the Democrats won the engagement. The Church and Republicans came out in force against it. The new Catholic archbishop took a leadership position and anti-abortion activists produced the largest overflow rally since the gun control fracas last year. The effort was so transparently political, the leadership appeared as exactly what the Governor and other allies warned them to avoid – aggressive partisanship. Good news for Denver’s media outlets. The television assault for the U.S. Senate seat has begun. Given 2014 looks like 2010 “light,” observers assumed U.S. Senator Udall could have a close re-election. Then on February 26, Congressman Cory Gardner got in the race, and political judgment, backed by early polls, make it a one- or two-point race. The first million-dollar TV ad buy came from the Koch Brothers attacking Udall on Obamacare. Majority Leader Harry Reid and the Senate Majority PAC respond quickly with commercials calling the anti-Obamacare ad a lie and Gardner the tool of the insurance industry. Now, a million-dollar campaign from the mostly Democratic League of Conservation Voters PAC begins the expected attack on Gardner for his environmental positions and being the tool of gas and oil interests. We are approaching $3 million in expenditures, the Koch Brothers are preparing another blast, and it’s only mid-April. The early advertising model was developed in the Obama campaign’s attack ads against Mitt Romney in May and June 2012. Before Romney was even near the formal nomination (end of August), Obama was hammering him as an out-of-touch plutocrat – Romney’s image never recovered. For all their complaining about money in politics, Democrats tend to have and spend more than Republicans. The first wave of Colorado attack ads are more against Gardner than Udall. In 2008, President Obama said good-bye to federal campaign spending subsidies and limits, received no real criticism for it and never looked back. He outspent both John McCain and Romney. This model; i.e., big money, massive TV, negative advertising and starting early, is here to say. Hang on Colorado. Although it appears Republicans have the advantage in terms of the structure of the 2014 contest; i.e., Democrats have more Senate incumbents in states Romney won and they have the hostility of voters unhappy with the economy, President Obama’s job performance and the ACA, the advantage appears less than 2010 when Republicans retook the House. One measure of election performance is the voters’ judgment of the favorability of the party brand. Fox News published a recent history of voters rating the two parties’ favorability. In the last poll they conducted before the respective midterm and general elections since 2006, the party that won the House had an advance indicator as to what would happen. Today, the Democrats have a 2-point deficit in their brand (44% to 46%), which is well below their 8-point deficit in 2010 nor the massive deficit Republicans had in brand in 2006 (13 points). It confirms that whatever Republican structural advantage exists in 2014, as of April, other indicators are less conclusive. confirms previous polls. Senator Mark Udall is ahead as of mid-April of Congressman Cory Gardner 45 percent to 43 percent. Colorado may have given President Obama two presidential wins, but in off-year elections it is two-point state. After $2 million in attack ads from both sides, the race remains locked, with a slight incumbent advantage (see March 2014, Udall vs. Gardner– Déjà Vu). Another Democratic PAC for the environment, the LCV, will spend one million dollars the next several weeks attacking Gardner. Three polls since Gardner entered the race on February 26 have shown a two-point or less race with the incumbent ahead. The latest poll from American Crossroads shows that Obama’s approval numbers in Colorado are somewhat worse than the national average (Real Clear Politics average: 43% to 50% national; Crossroads in Colorado: 41% to 55%, a negative 14 points). The ACA continues to be a drag on the incumbents, but possibly not fatal. ACA is approved by 41% of Colorado voters and disapproved by 54%. Six out of ten say it will influence their vote. Udall’s approval rating is weak in this poll, with only 38% approving and 46% disapproving – a negative 8 points. The Hispanic population in Colorado has grown from 13 percent in 1990 to 20 percent today. The percentage of African Americans has remained constant over the twenty years and the Asian community increased by fifty percent. Hispanic and other minority local elected officials and state legislators are now a common sight, and in both the U.S. Senate and competitive Sixth Congressional District races, minority voter turnout could be decisive. Denver’s 1st CD, Pueblo’s and Western Slope’s 3rd CD, and Denver metro west side’s 7th CD has the largest Hispanic populations. The African American community is significant in size in Denver and the newly configured 6th CD. The Asian community, while still a small percentage, is most important in the 6th CD. The assassination of President Kennedy set the stage for the legislative victories of President Lyndon Johnson, in particular, the long stalled civil rights legislation. Civil rights and other leaders came to the University of Texas LBJ Library to celebrate the 50-year anniversary of these laws. Johnson’s reputation is burdened by the Vietnam War and his unreconstructed Cold War viewpoint. But, equally controversial at the time and a burden for Democrats through most of the 1970s and 1980s, was Johnson’s unreconstructed adoption of the New Deal solution to poverty. The huge Democratic victories in the 1964 election empowered Johnson and liberal Democrats to pass a flood of legislation creating programs, agencies, and departments with associated spending that became the “Great Society” (commencement speech of University of Michigan 1964). Not only did the Vietnam War destroy the Johnson presidency, but the cost of guns and butter and a backlash to the liberal activism was used in constructing Richard Nixon’s Silent Majority and war on crime. It also led to the long Neoliberal debate in the Democratic Party as to the efficacy of big government solutions to social problems and their tendency to produce unintended consequences. The Democratic Party’s dominant liberal wing is preparing for a new war on poverty. And, there’s no doubt the current liberal era launched with the Democrats retaking the House in 2006 and the election of Barack Obama would already be recognized as the next high point of liberalism after the FDR and LBJ administrations, but for Washington gridlock and the aftermath of the 2008-09 financial crisis. The American foreign policy consensus in favor of a more modest international role is being challenged by events and domestic politics. The likely result will be a split in both political parties between more militant interventionist forces and isolationist and pacifist wings. But, for the first time since 2006 when the war in Iraq was in the news and voters’ minds, foreign policy will be a backdrop in the 2014 congressional elections and front and center in the 2016 presidential debate. World events and adversaries appear to challenge the Obama administration’s basic foreign policy principles of adherence to universal norms, negotiations, non-military sanctions, withdrawal from military commitments and playing a supporting role in multilateral coalitions. Domestic politics is focused on the administration’s competence and ability to lead as a result of Washington gridlock and the Affordable Care Act meltdown. The foreign policy challenges contribute to administration woes. Public appears supportive of administration’s basic principles, but express increasing concern over America’s position in world. They believe President and U.S. have lost respect and influence. In recent challenges, significant percentages want more forceful action. Republican establishment escalates criticism of administration on “failures” in Middle East and Ukraine/Crimea. But some elements of party take more isolationist view and aim criticism at abuses of executive power in NSA and drone policies. Hillary Clinton, the Democrats’ leading candidate, is attempting to travel in same direction as administration, yet not get hit by the incoming fire. She has indicated a more aggressive posture with President Putin, even if only rhetorical and a more cynical position on the Iranian negotiations. “Freckless,” a word used by a Washington Post editorial last winter to describe Secretary Kerry’s negotiations with Syria and a description of the President’s viewpoint on military options as “defeatist,” set the mark for criticism and have become the themes for many editorial and foreign policy elites’ viewpoints over the last couple months as foreign impasses appear to mount. It is clear a debate at the leadership level is beginning in both parties, and the loudest voices today are moving American policy away from the administration’s strategy and assumptions to a more forceful position, that is, to the right. 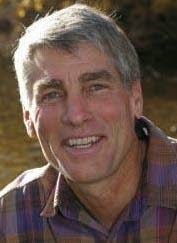 Senator Mark Udall’s decision to not join with eleven fellow Democratic senators and sign a letter to President Obama endorsing the Keystone Pipeline will ensure the issue enters the Colorado senate contest. His Republican opponent, Congressman Cory Gardner, is an early and strong supporter of the pipeline. Is Kopp the Strongest Republican Candidate for Governor? 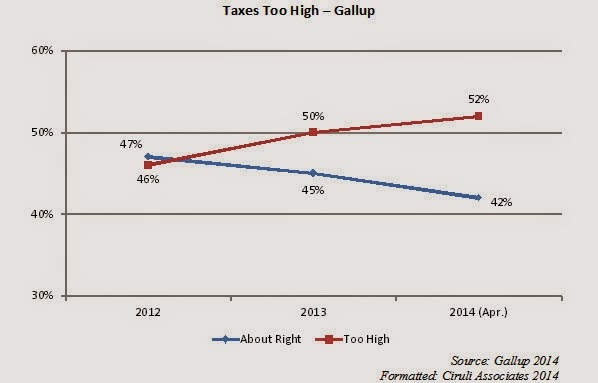 Federal taxes are up since January 2013 (payroll taxes) and taxpayers are noticing. The percentage of Americans saying taxes are too high has grown from 46 percent to 52 percent, nearly equal to the recent high just before the Great Recession (53% in 2007). After this year’s filing deadlines and the first Affordable Care Act payments are made, taxpayers may be even more unhappy. 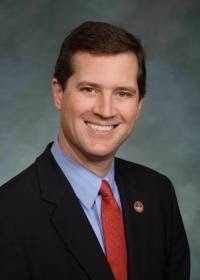 In the 4th Congressional District delegates went for the most conservative candidate, Scott Renfroe, who was highlighted for his personhood amendment loyalty and help on fighting the state’s recent gun legislation. The most moderate candidate, Barbara Kirkmeyer, didn’t make the ballot, and Ken Buck, the Tea Party favorite two years ago, came in second. Things change. On October 21, 2012, candidate Barack Obama was a confident defender of his foreign policy. From mocking his opponent’s claim that the navy had been weakened under his watch, to his ridiculing Mitt Romney’s observation that Russia is the U.S.’s number one geopolitical foe, Obama was in a comfortable position on foreign policy and judged to have won the foreign policy debate. This is not the usual position for Democrats, especially those perceived as liberal as Obama, but he had pursued a strategy from the start of the administration to protect against the charge of weakness, all the while pursuing a policy of military withdrawal and international restraint. He retained Robert Gates, G.W. 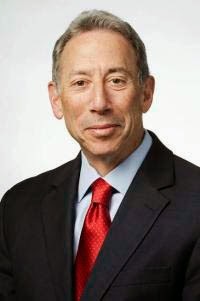 Bush’s defense secretary; he stepped up a targeted drone strategy against Al-Qaeda suspected terrorist leaders; and he permitted a 30,000-troop surge in Afghanistan, even while doubtful about the policy’s chance of success. But today that confidence is gone as the President and his team manage a host of problems with no clear solutions and aggressive, despotic rulers in Syria, Iran and Russia who ignore his preference for negotiation and adherence to international norms. 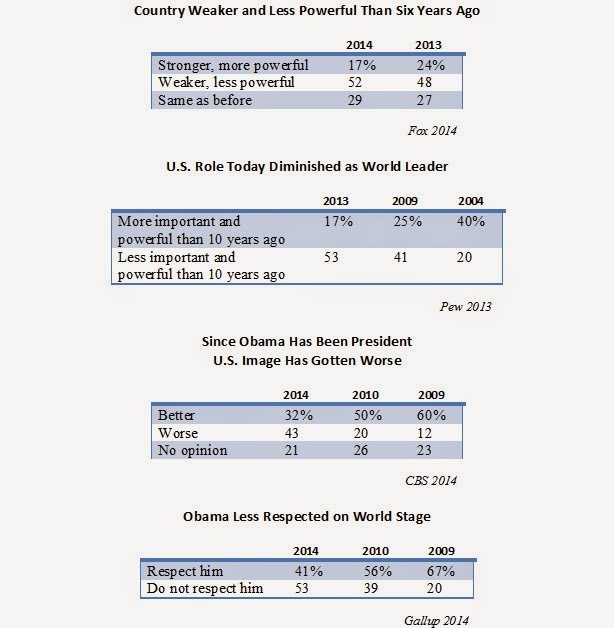 President Obama’s foreign policy job performance is now rated lower than his overall performance (36% to 43%, CBS, March 2014), and Americans believe the country is weaker, its image worse and Obama less respected today than when he came into office. It has been an extraordinary fall for Obama, who received the Nobel Peace Prize in his first year in office, largely for promising to not follow President Bush’s foreign policy. Unfortunately for Obama, his foreign policy is in trouble at the very moment his political capital is mostly spent. Tom Tancredo making the primary ballot means commentary will continue to focus on the anti-immigration Tea Party divide in the Republican Party. The latest round of state polls has the Governor six to ten points ahead of the various potential members of the Republican field, including the frontrunner Secretary of State Scott Gessler and new candidate, Bob Beauprez. It’s possible the Governor will escape the legislative session with minimal controversy. There’s been a spate of good economic news, giving the state the enviable position of being ahead of most states on job growth. Democrats in D.C, especially the President, haven’t done anything during the last month to hurt the brand, which tends to trickle down on local candidates. Finally, the fracking debate that could be divisive for rank and file Democrats has caused the party’s leadership to rally to the cause of gas and oil development (albeit highly regulated), which attaches them to the Governor. Things, of course, can change. Governor Brown in California is in better re-election position than Hickenlooper, but the Governor and his team must be in a good mood today. Not surprising, former Congressman Tom Tancredo made the Republican primary ballot by petition. Tancredo’s name identification, a statewide network of core supporters and his hot button issue, anti-illegal immigration, made him a perfect candidate for petitioning onto the ballot. Tancredo is also John Hickenlooper’s favorite candidate. Democrats will use his well-established image as “extreme” to argue the Republican Party has not changed its positions and, in particular, Hispanic voters should vote Democratic. Tancredo is attempting to avoid new controversy after a long career of inviting or engineering them, but it’s late. If Tancredo does not win the primary, he has promised to support the ticket, no small thing for a maverick-like Tancredo who bolted the party in 2010 and ran as a third-party candidate for governor. The Sixth Congressional District is Colorado’s most competitive and has the second largest minority voting bloc. The district voted for President Obama by five points in 2012, his statewide average, while re-electing Congressman Mike Coffman by two points. With a third of the voters minorities, their turnout will be key to deciding the winner. So both candidates are focusing attention on them. At 20 percent, there is a substantial group of Hispanic voters, but the district also has the state’s second largest group of African American voters in Colorado’s seven congressional districts. Turnout from the 2010 election and the 2012 presidential dropped by a third. If that happens in the 2014 election, expect about 240,000 voters. The falloff in voting will be larger among minority voters. “You will get some minority votes no matter what the midterm turnout is … We’re talking about a 2-point race,” Ciruli said, pointing to 2012 when Coffman beat former state Rep. Joe Mikloski by about 2 percent in the newly redrawn district. Ciruli says it will only take a couple thousand votes for either candidate to win the CD 6 seat, and at this point, it could go either way. Twenty-five years have passed since the inauguration of George H.W. Bush. The family gathered for a celebration at the Bush Library at College Station. Condi Rice, Richard Haass and Robert Gates all took part, a reminder that foreign policy was a Bush strength, especially related to Russia. At a moment the U.S. is threatened and appears on the defensive, the reunion recalls Bush’s deft handling of the collapse of the USSR without triumphalism or conflict. And his six-week Gulf War is considered a model of assembling a coalition (34 nations) and maintaining a limited military mission. Former Florida Governor Jeb Bush received considerable attention since interest in his presidential ambitions increased as Governor Christie’s support sank dealing with the bridge controversy. The Republican establishment wants a qualified centrist in the race, and Bush is a leader of the moderate wing of the party. He currently is at the high end of the modest percentage of support that the scattered Republican field is receiving. Bush is boldly proclaiming an immigration reform message and is featured in an independently-funded media campaign with Governor Bobby Jindal broadcasting mainstream GOP themes, such as school choice, bottom-up economic development and small government. Even President G.W. Bush managed to get some front page coverage at the reunion with his new portraits of world leaders. A shark-like Vladimir Putin was a favorite. Although Americans are restrained in their foreign ambition, oppose military action in Ukraine and support sanctions on Russia, they give President Obama little support for his handling of the crisis. He’s either below 50 percent approval or in negative territory in four national surveys conducted in March. Paradoxically, Americans don’t rate Ukraine and Crimea high priorities and they claim to prefer the modest involvement Obama advocates, yet at the same time, they see Russia as a threat and want the U.S. to be tougher. Can Democrats Hold the Colorado State Senate? After a disastrous 2013, Senate Democrats have tried to recoup by limiting the 2014 session agenda to less controversial items and doing a few bipartisan bills. Early prognostication focuses on six senate seats that appear potentially competitive. Republicans just need to switch one, but, of course, Democrats will be working hard to recapture the two they lost. The Pueblo seat should be easy if Democrats stay united, but Colorado Springs is seen as competitive. Term-limits will retire two veteran Republican leaders in Greg Brophy, now running for governor, and Douglas County’s Ted Harvey. 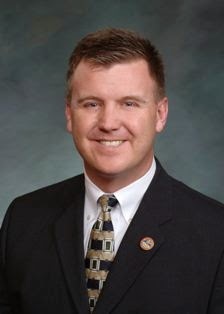 Scott Renfro is also out and now running for Congress in the 4th District (Cory Gardner’s seat). Republicans will easily replace all three. Democrats’ two term- limited senators are in competitive seats. Lois Tochtrop leaves what could be a competitive seat in Adams County. She last won her seat by a handful of votes. Gail Schwartz from Pitkin, who represents the central and southwestern part of Colorado, will leave one of the state’s largest and most competitive seats. Schwartz won two close races. Democrats will miss her as she is a strong campaigner and good fundraiser. In recent years, Jefferson County has produced some bitter Republican primaries and competitive races. This year, there are two seats on the competitive list. Andy Kerr, a Democratic leader on education, won by 52 percent in 2012. Jeanne Nicholson was targeted by gun rights advocates in 2013 and will face similar opposition this year. A Washington consensus is building that Republicans will add seats in the House and win six seats and a majority in the Senate. But, recent elections have shown that local circumstances, namely flawed Republican candidates, have frustrated previous predictions of Republican control of the senate. However, this year, Republican pragmatists appear to be in ascendance. Not every non-presidential election year is a wave election. There have been four nationalized or wave elections in the last 40 years, and two of those have been in the last decade. The Nixon resignation launched the 1974 Democratic sweep, which brought in Watergate babies, last two of whom retired this year, California’s Henry Waxman and George Miller. Newt Gingrich and the Contract with America led the way to the Republicans retaking the House after a 40-year absence. Finally, in the last decade, the House has changed hands twice – once putting Nancy Pelosi in the Speaker Chair and four short years later replacing her with John Boehner. 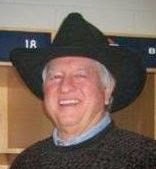 Among councilpersons, the retirements represent a collective 62 years of experience, including Charlie Brown, the member most likely to attend your event and have a cowboy hat on. Denver mayors tend to be re-elected, but if they’re going to have a serious challenge, it is usually in the first re-election. Although Hancock has avoided major controversy, Denver is a city with many political factions and constituencies. Someone always wants something more done or something different. So, although it will be a surprise if Hancock has a significant challenge, his re-election is not likely to be a criticism-free event. With energy policy a key issue in states with vulnerable Democratic incumbent senators, President Obama’s poor job rating on “improving the nation’s energy policy” adds to his political weakness in the November election. 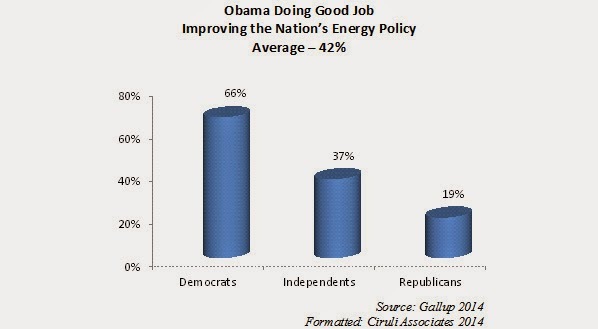 He is only considered as doing a good job of improving energy policy by 42 percent of the public (Gallup, 3-24-14). His rating has been weak since early 2010 (43%), but today, it is a more serious political problem given the salience and impending decisions concerning the Keystone Pipeline, liquefying natural gas and fracking, all items economically important in battleground states, such as Colorado, Louisiana, Arkansas, Montana and Alaska. Obama’s rating for making America prosperous is equally low (39%), but he scores better on “protecting the nation’s environment” (51%). Unfortunately for Democrats, today, energy policy and the economy are considered more important priorities than the environment. “Ken Buck is a brand and that’s an advantage, but this definitely is a race,” said Denver pollster Floyd Ciruli. What makes it more interesting, he said, is that Weld and Douglas counties are places to watch when it comes to Republican politics. The primary ballot decision on June 24 will decide who the next congressperson is from the 4th CD.